Fuzzy, velvety soft, silvery foliage with a mat forming habit and spikes of mauve flowers in summer. Evergreen. Hardy. Low maintenance. Frost and drought tolerant. 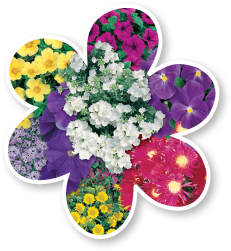 Great for containers, gardens, borders and as a groundcover. Height 40cm. Deadhead spent flowers.